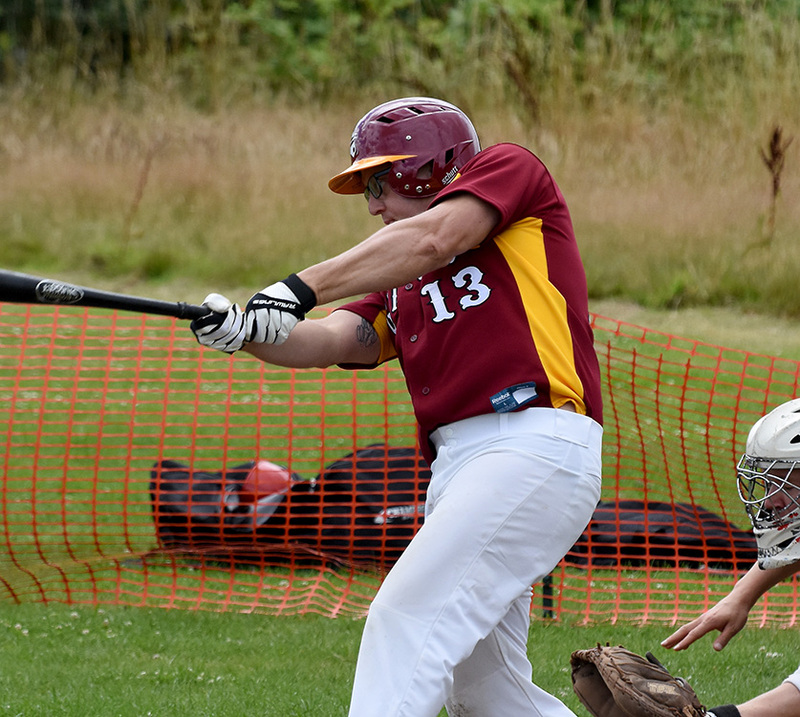 GoldCats 30 – 24 Bracknell. 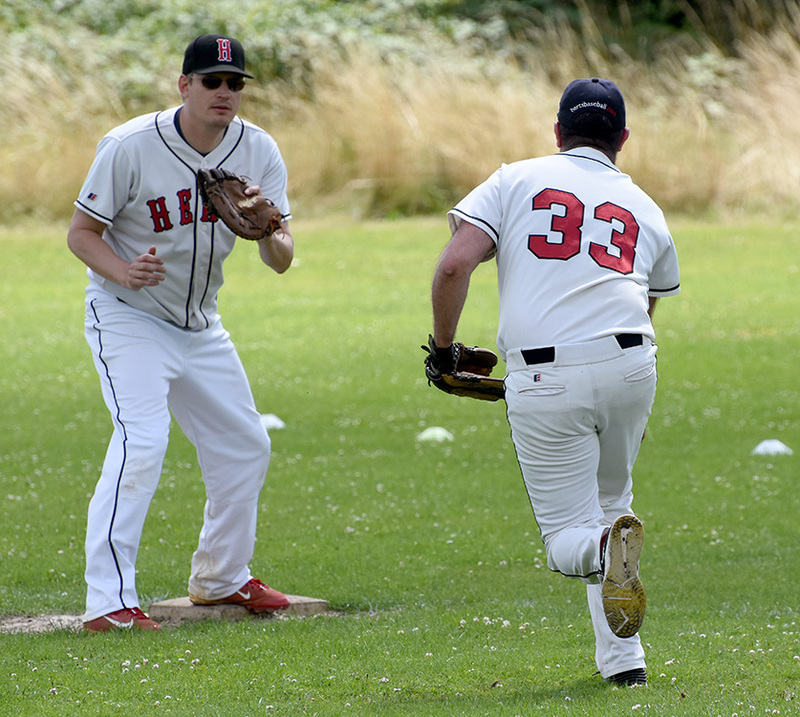 The Gold Cats took their first on-field win on 23rd July, when they held on to beat Bracknell 30-24 in high scoring game at Christ’s College. 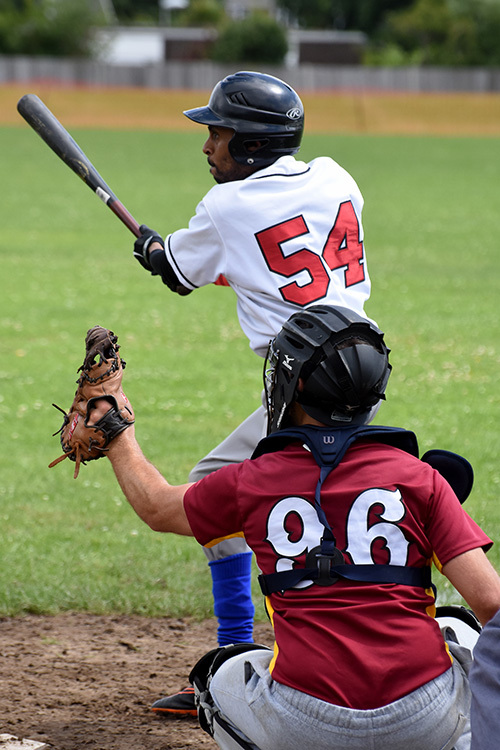 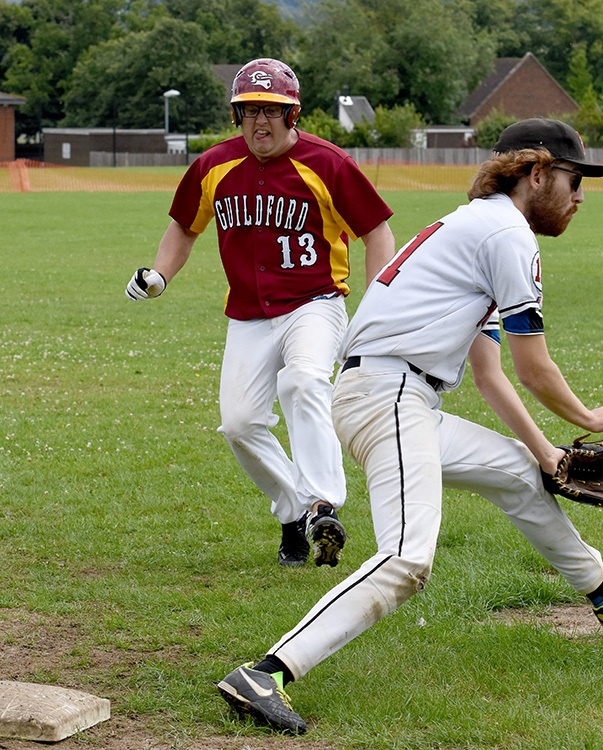 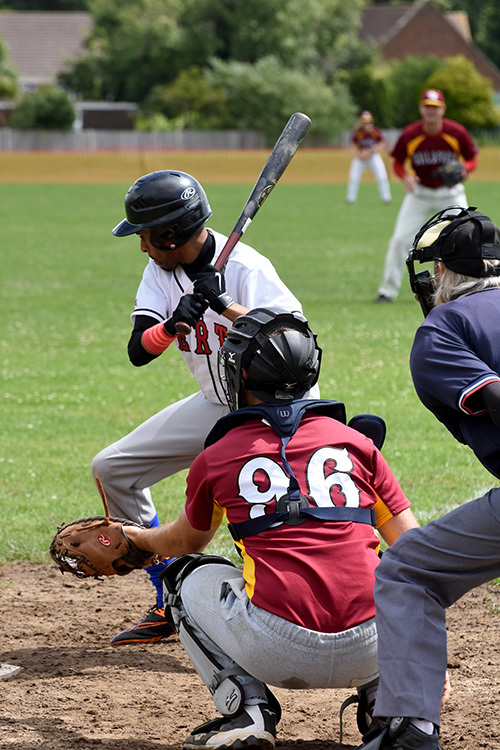 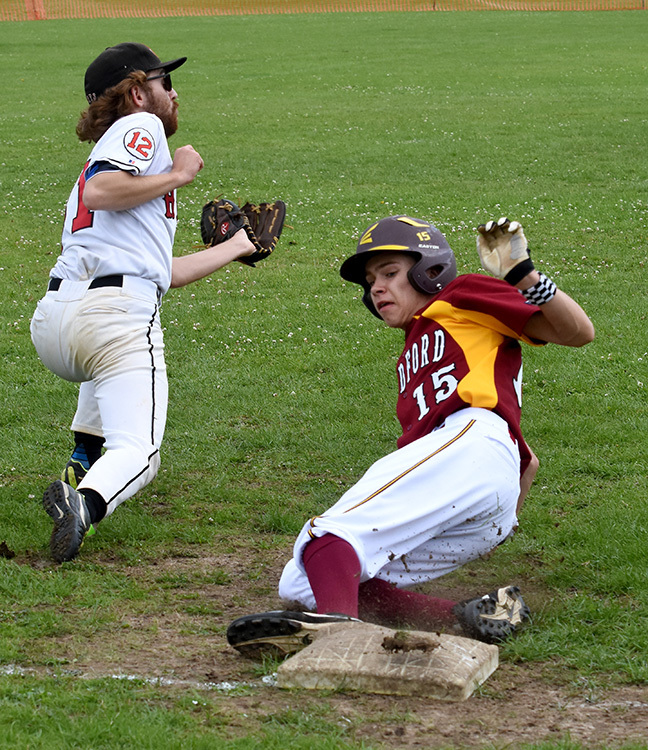 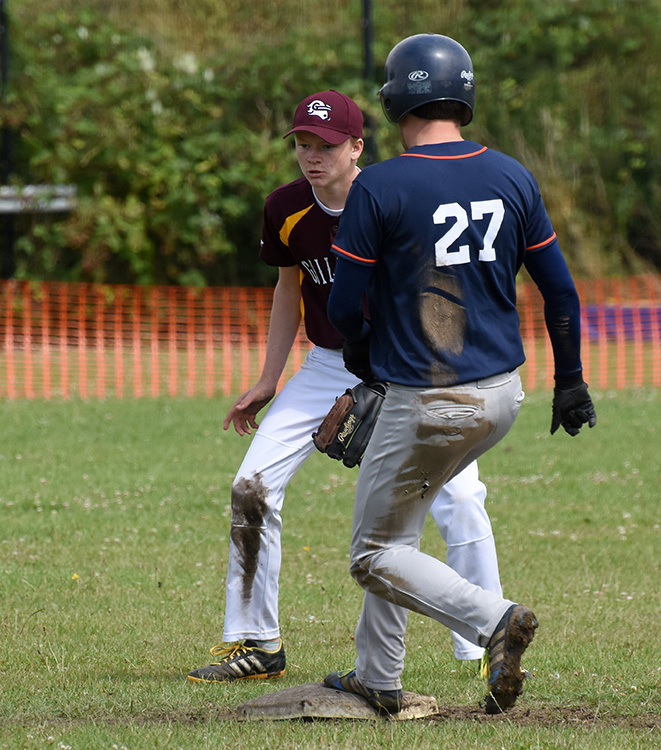 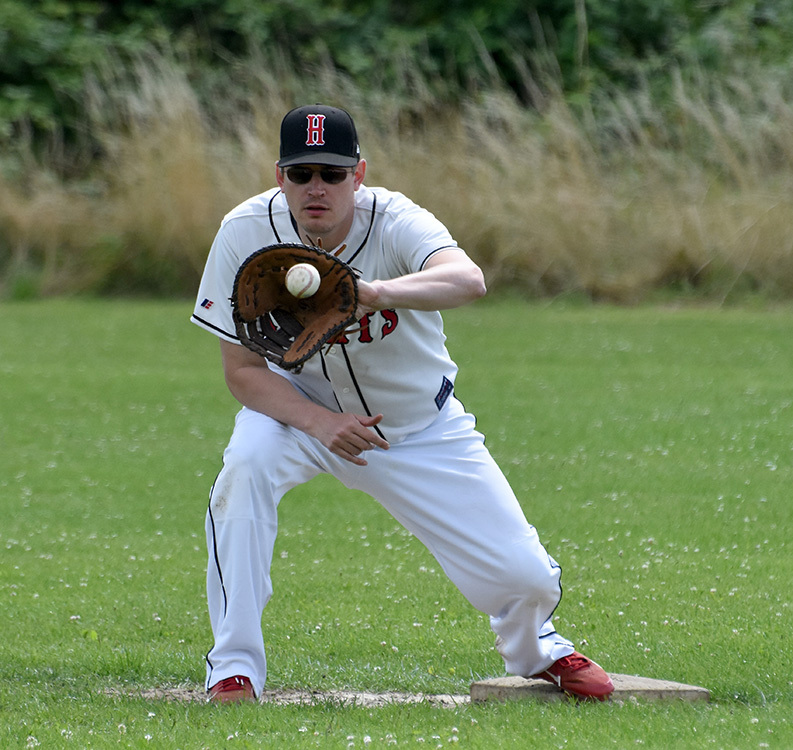 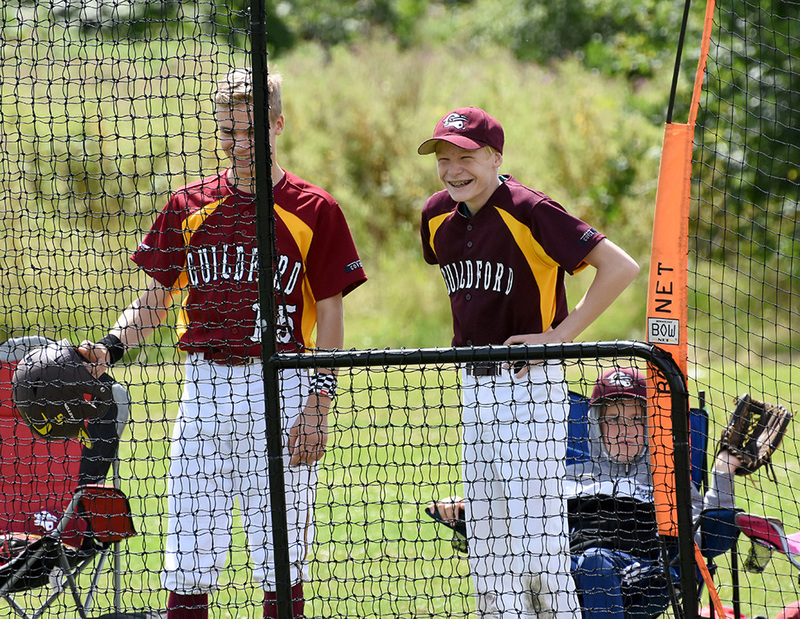 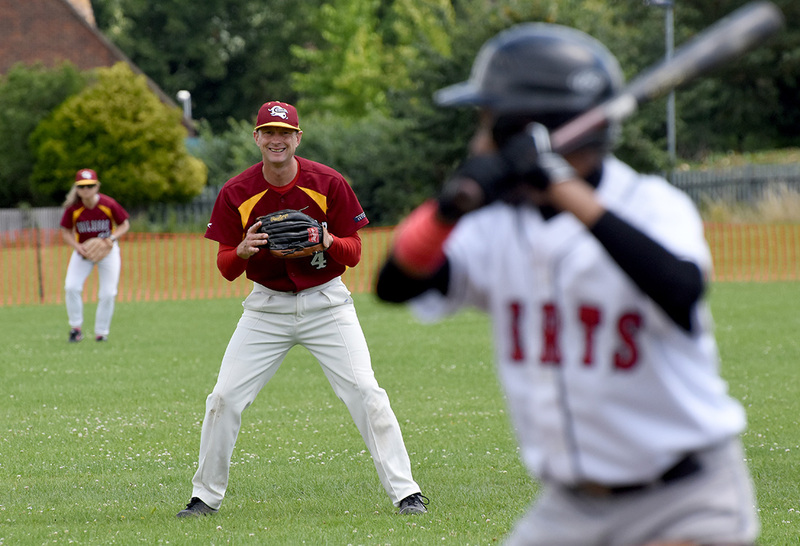 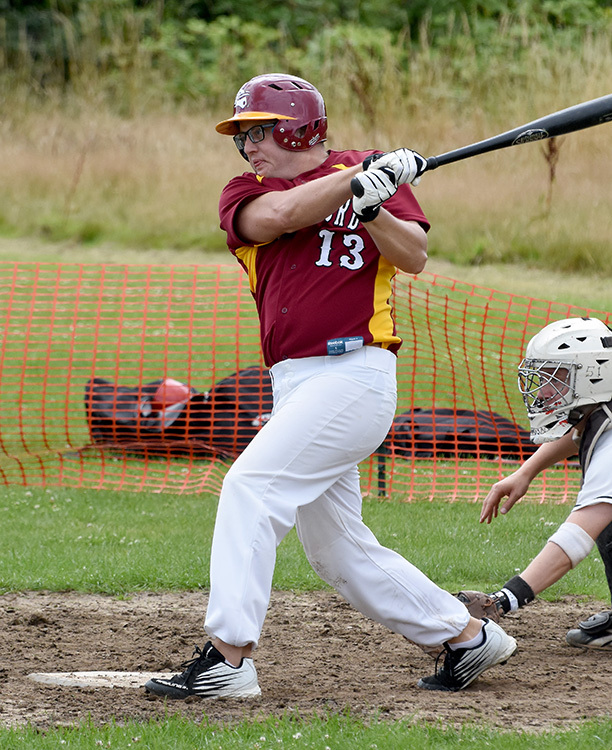 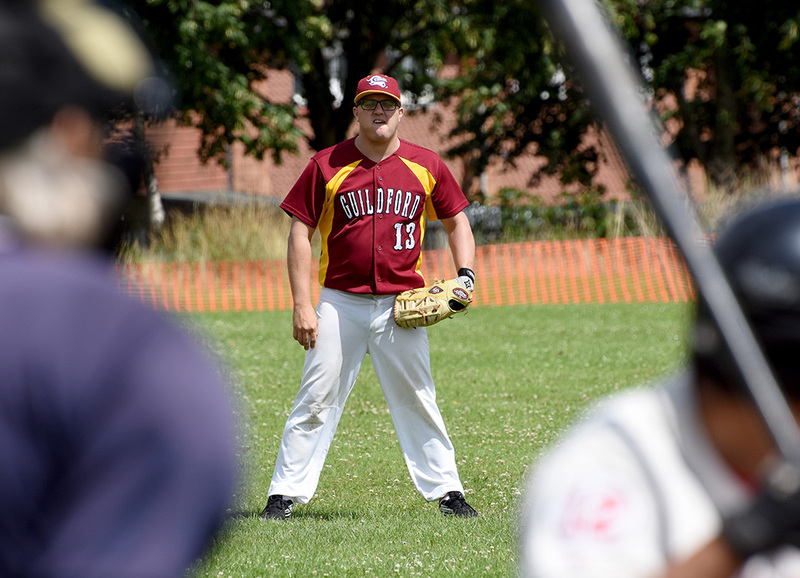 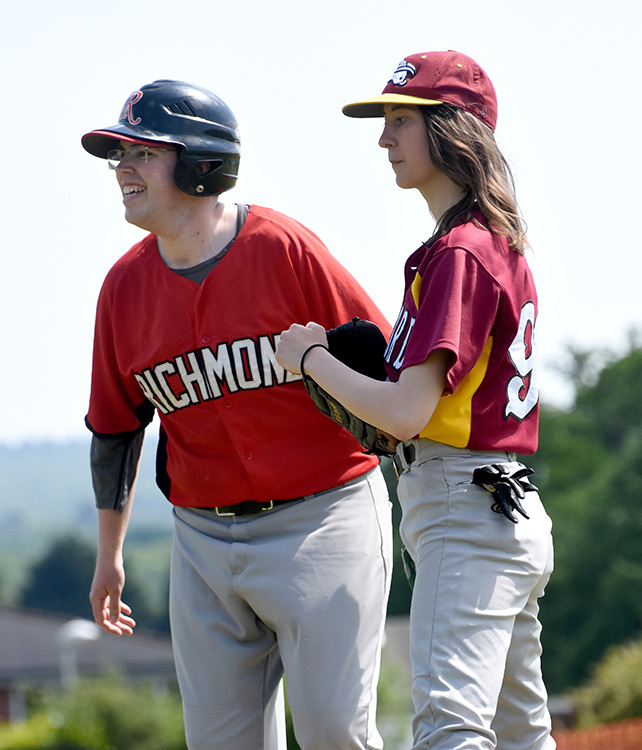 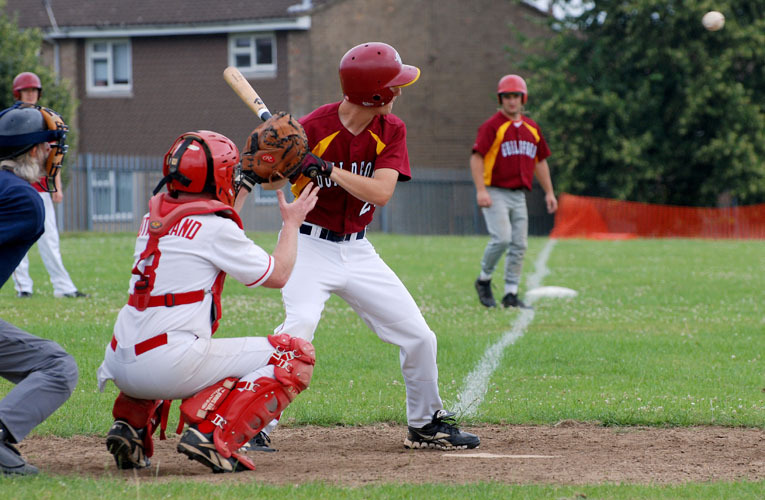 The two previous victories this season had been as a result of forfeits, but this was the first win on the diamond, by Guildford’s third team. 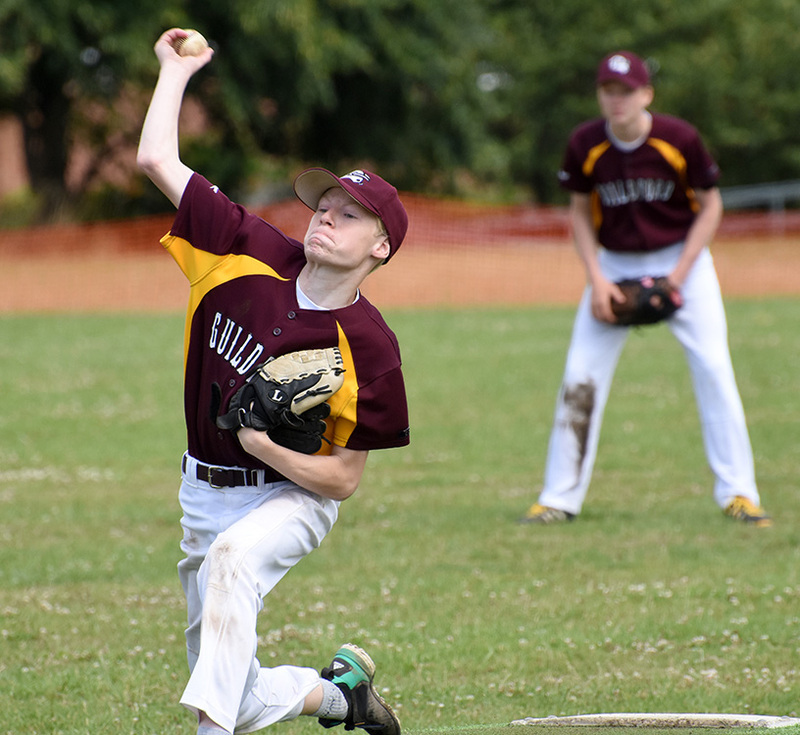 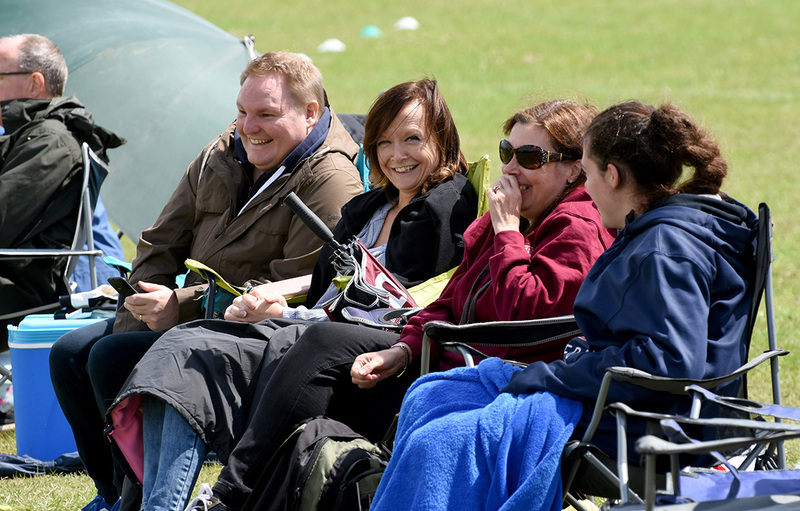 It probably should have been more comfortable than the scoreline suggests, as Tom Sullivan kept Bracknell in single figures through 5 innings, before reaching his pitch limit, whilst the Gold Cats scored at will, to take a 20-9 lead. 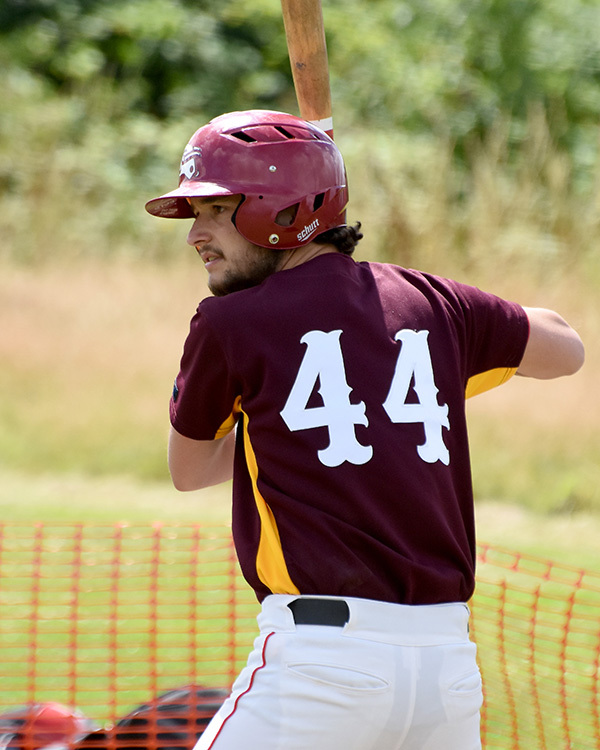 Hit of the day went to Nick van Goeverden, who comfortably cleared the left field fence for his first HR of the season. 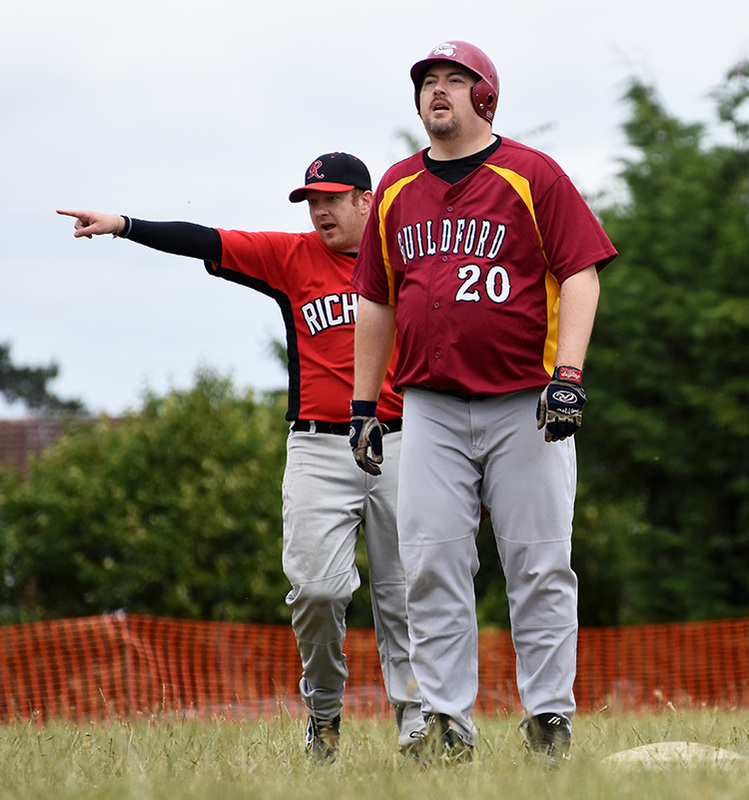 The Inferno had brought it back to 22-20, but that was as close as it got, as the Gold Cats stretched their lead again, and Michael Burdett took the win, (some 26 years after his last one! 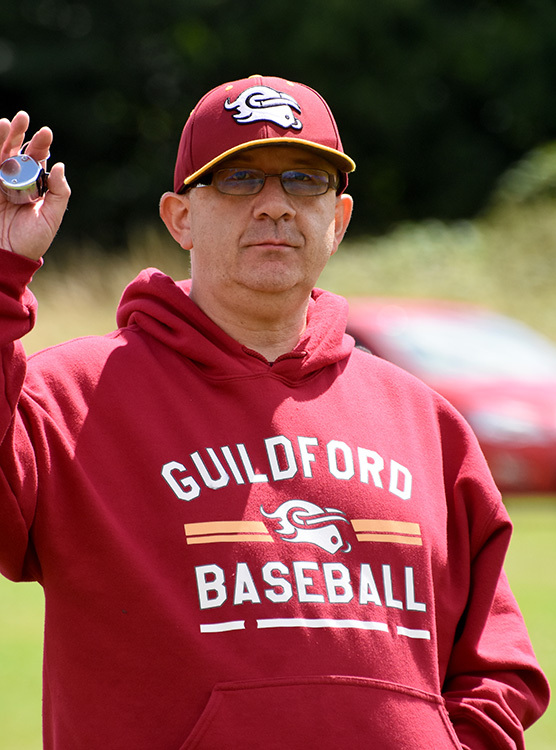 ), as Guildford ran out victorious. 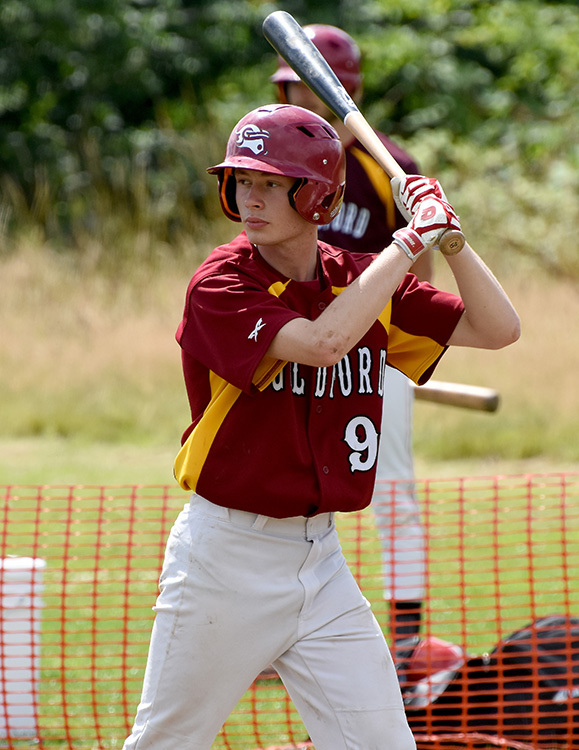 GoldCats 15 – 19 Herts. 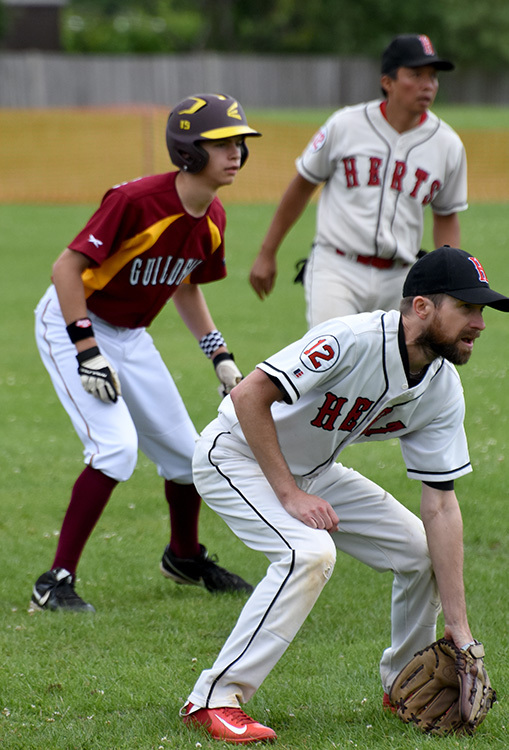 Following on from their win the previous week, the Gold Cats again played some good baseball, and pushed the Herts Raptors all the way in a close 9 inning defeat. 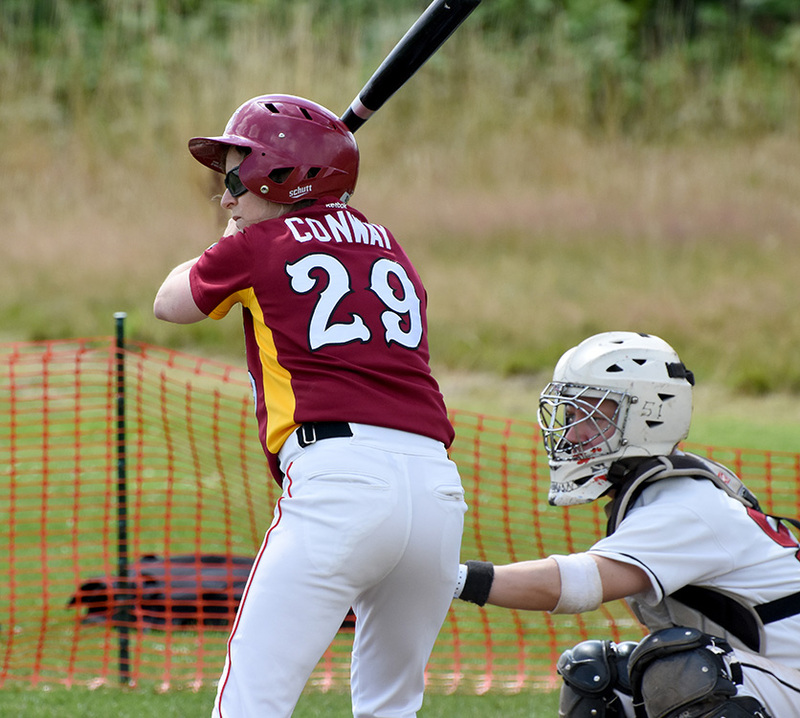 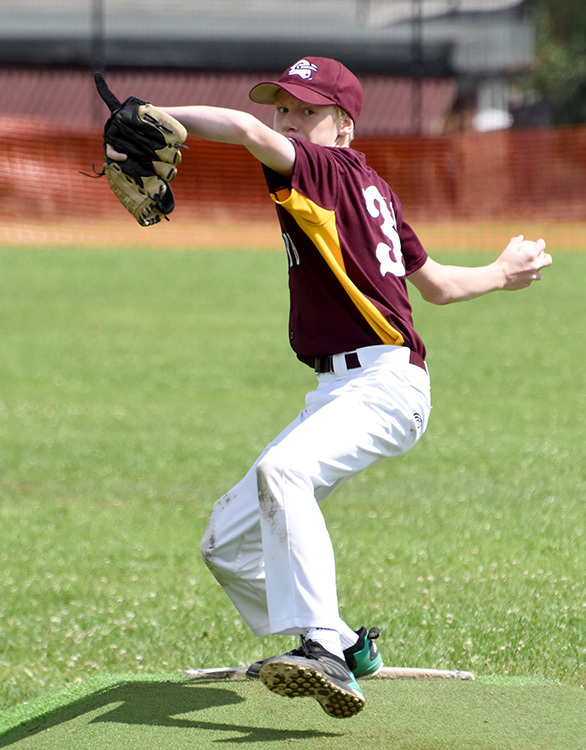 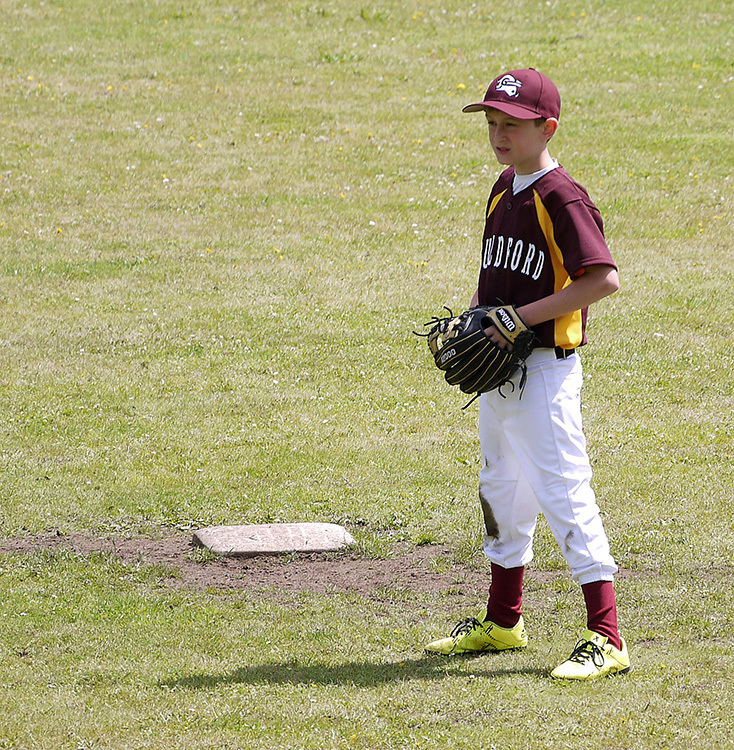 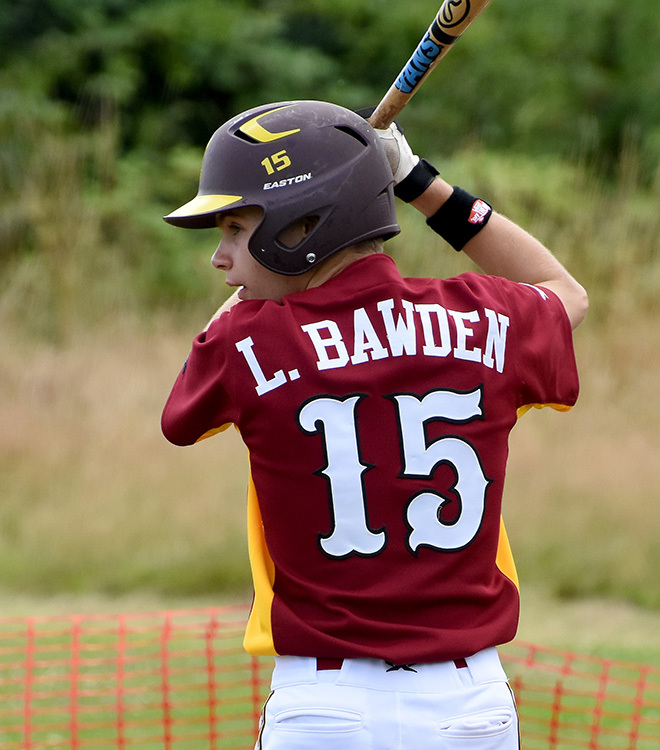 Although the Raptors got off to a quick start taking a 5-0 first inning lead, the GoldCats responded, with Danny Gosling starting the day 3 for 3, facing just one pitch each time. 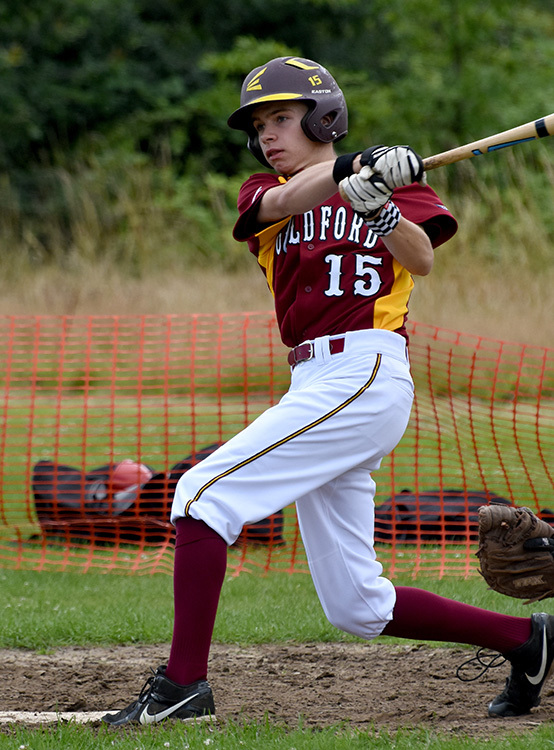 Tom Sullivan started for the GoldCats and although not quite as sharp as last time, still kept the Raptors close. 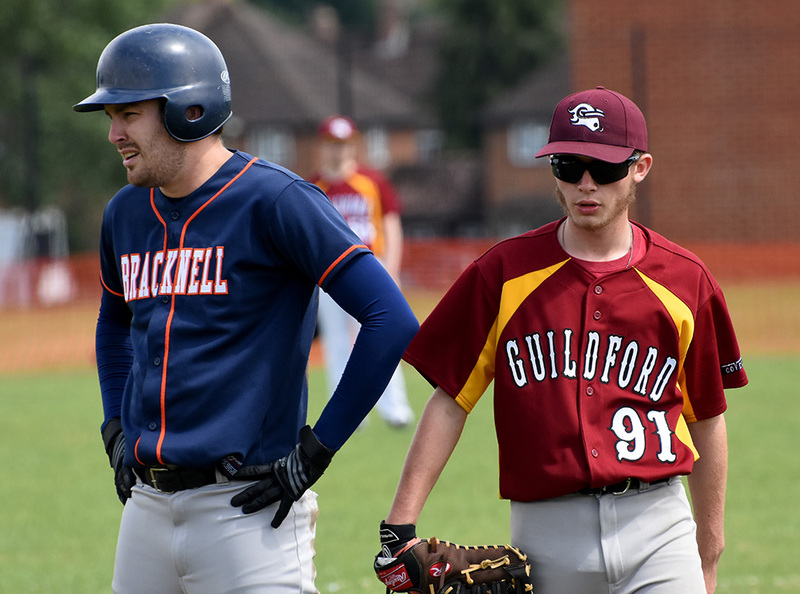 Myles Buckton relieved, followed by Lewis Bawden, and all three kept Guildford in the game. 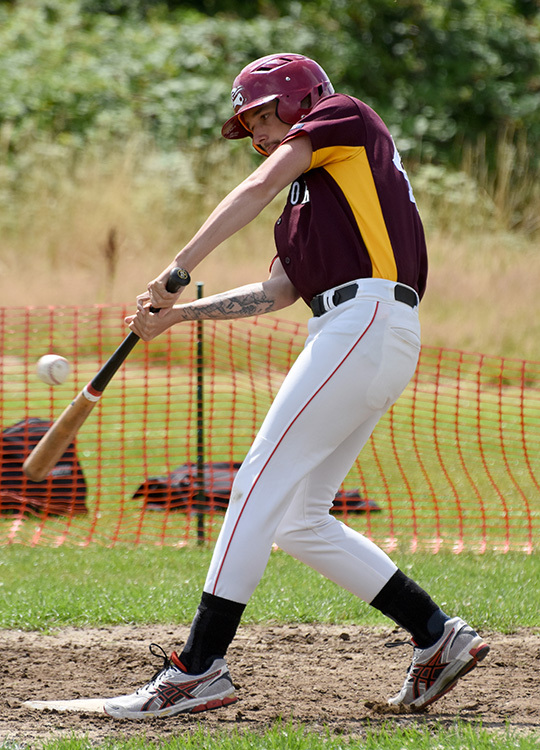 The GoldCats bats were also alive all day. 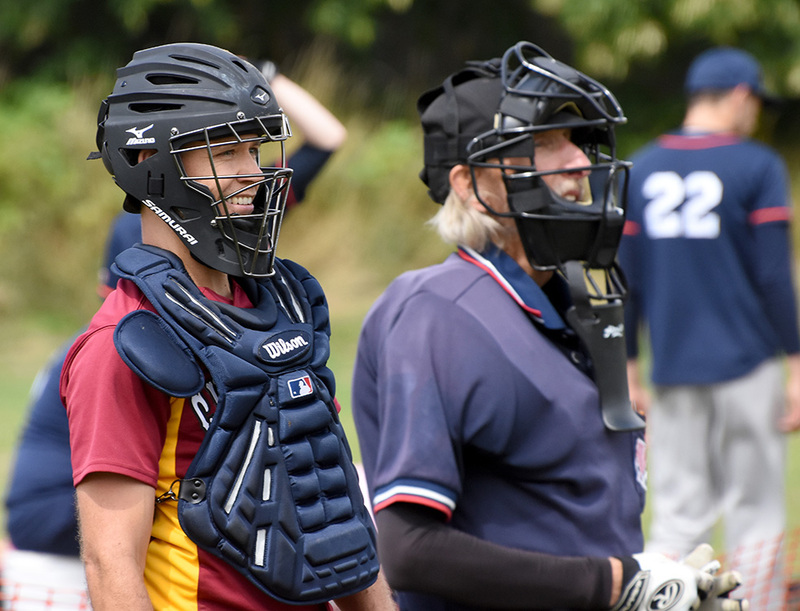 Frank Madone just falling short of his first HR, and Richard King, Lewis Bawden, and Tom Sullivan all hit gappers into the outfield. 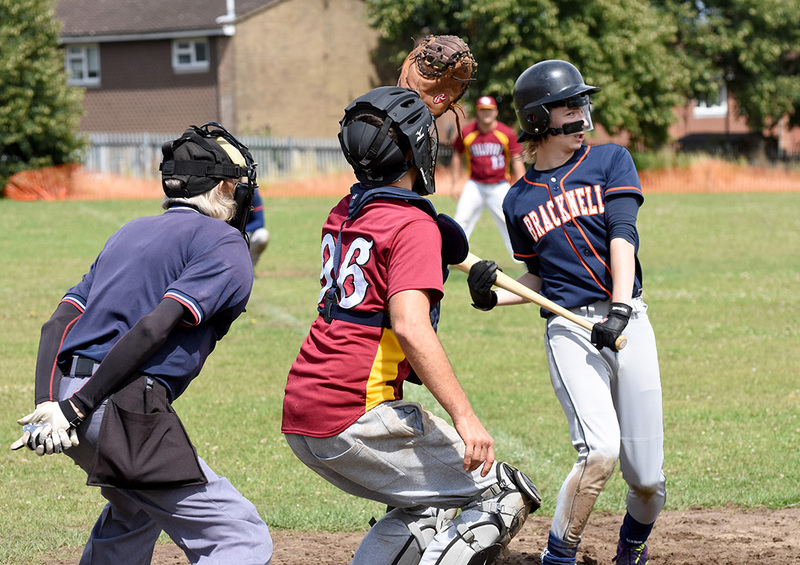 Rachel Morris lead the day with 3 RBI’s and in the field Richard King and Nick van Goeverden, lead the way on the infield.